Among all the seasons of the year and in the life cycles of any community, no feast is more authentic, participatory and evocative of Christmas. If Christmas as a religious holiday, universally recognized, celebrates the “rebirth”, this small miracle, without presumption, I always feel a physical need in our community, a great little family where you share the same knowledge, hopes, successes and destinies. A real family, because the quality of the results of research and innovation that we do in Macnil passes by the quality of the time and work that our employees devote to their commitment to our common home, in the heart of Gravina in Puglia, ideal for remain close to the emotional ties and our most authentic needs. 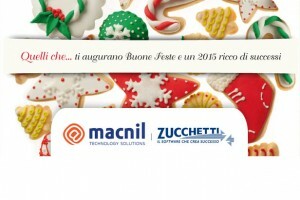 The family MACNIL, in the year that is ending, has chosen to be part of a much larger family, the Zucchetti Group, which has 2,700 employees and 1,100 partners across the country, and this year is the first confirmation Italian group for software revenue in Europe with over 100 thousand customers. This is not a merger, acquisition or joint venture, the formula that the press licenzierebbe a bit ‘hastily, because our family business has maintained independently all its peculiarities, freedom of research, development prospects and commitment to the territory sharing them with Zucchetti. In this vision of “power sharing” that featured all the success stories of today, we too have felt the need to be “born again”, driven by a non-inertial reference system that, like a centrifugal force pushes us to look outward, yet always in tension towards the percent of the trajectory. This combination, like a dance, allows us to “stay connected and on the go”, to be “restless”. 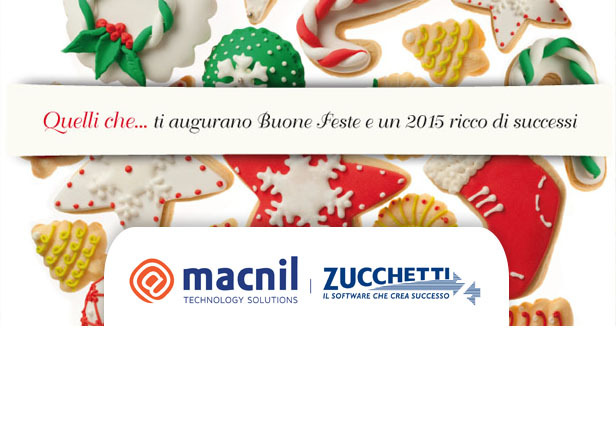 This is the sincere hope that as Macnil wish to share with all of you for 2015, because only the tension, desire and – as Einstein would say – even the crisis, are bearers of authentic change. What we call “success”. Be restless and … Merry Christmas!